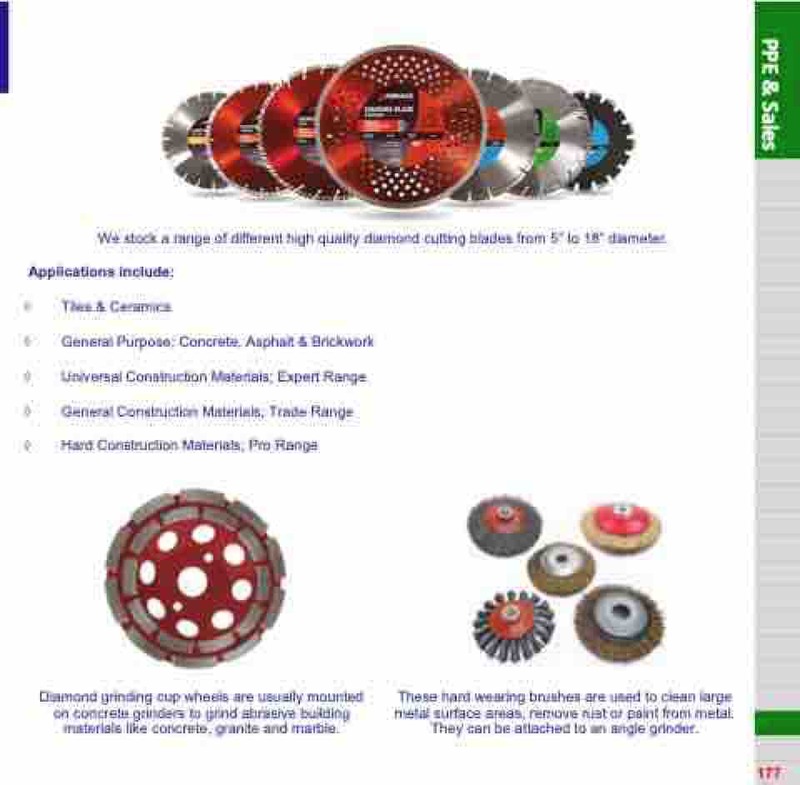 We stock a range of different high quality diamond cutting blades from 5” to 18” diameter. Diamond grinding cup wheels are usually mounted on concrete grinders to grind abrasive building materials like concrete, granite and marble. These hard wearing brushes are used to clean large metal surface areas, remove rust or paint from metal. They can be attached to an angle grinder.